Walking today was almost like a duty. 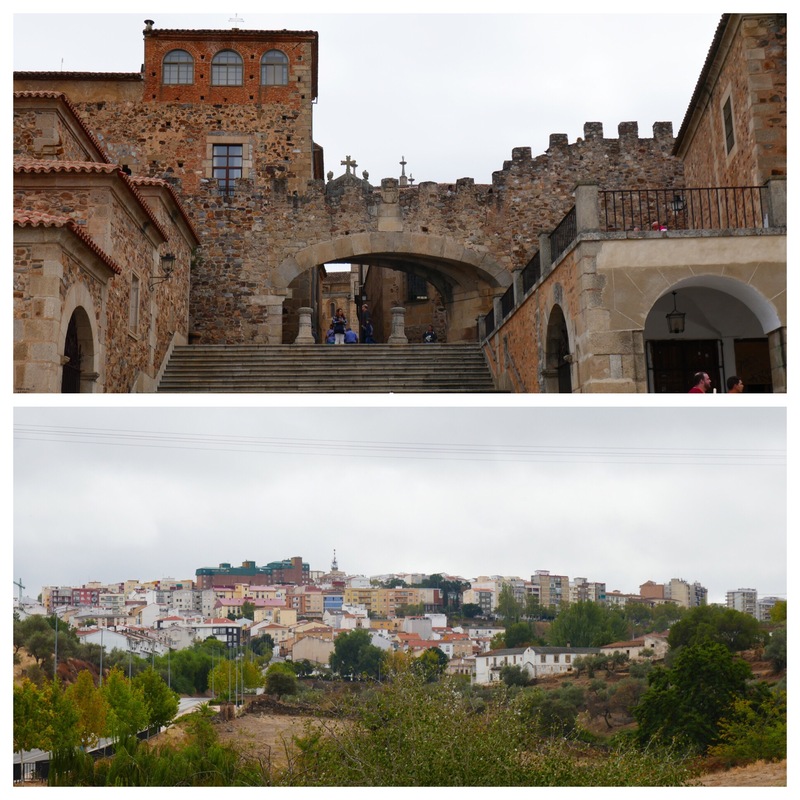 Except for leaving the beautiful city of Cáceres. Eleven km to cover, get going. Not with much pleasure or joi de vivre today. Victoria and I started late, after I did FaceTime with JP, then after eating breakfast in Granier’s, getting money from our respective banks and buying batteries for her torch and chocolate milk, mostly for me (91% milk – 9%?). Not much more to say. Well maybe except, imagine starting at 11:00. Gave us more time in a very nice hotel in the very type of room I’d envisaged. With a view I enjoyed. Ok. Arrived in the town. Remembered it from last time. Pretty much unchanged. A fourth woman just arrived in the municipal albergue and joined us in the second room of it in Casar de Caseres. As the first group, we are next to the showers. The next lot (apparently 2 men) will get the other room and sleep next to the toilets. Almost unbelievably, I’m in the same bed as 4.5 years ago. And, unusually for now, there is still only one power point in the room. Anyhow, we are now a group of 4 women: 1 Spanish, 1 French, 1 German, and 1 Australian. And we have spanish or english as the most shared language. Hmm. The German woman said she has problems with her peroneal muscles. The rest of us have had blisters at some time or other. Yes, life as a pilgrim is tough. The boys had it as a daily mantra: as they had a beer or food they’d look seriously at each other and say ‘la vida de un peregrino is muy duro’. (The life of a pilgrim is very hard). Well, maybe it was once but nowadays?? Think: electronic maps, thousands on most routes most years, WiFi……. Yes, it’s very tough. 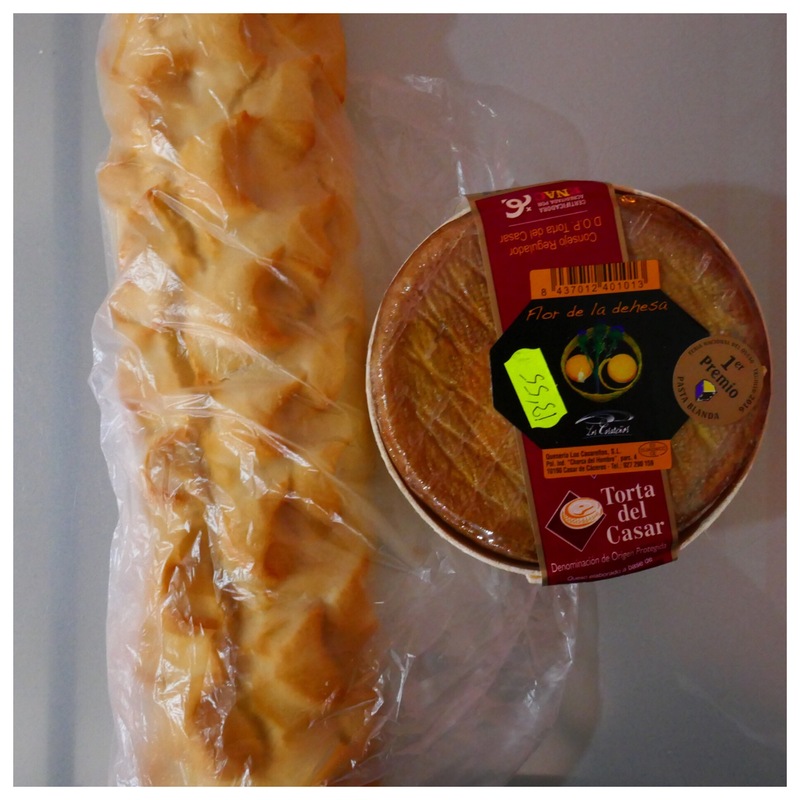 What we did buy today is some of that amazing sheep’s cheese we ate in Merida: tarta a la serena. We bought a round of it in Casa de Casares where it’s called Queso de Casar, will let it warm to room temperature and it should be liquified when we remove the top in a hour or so. Hmmmm. So yes, the life of a pilgrim is tough!